​Are you looking to purchase good pots and pans for your induction stove? This here is your definitive guide and review of the 5 best induction cookware sets out there. If you enjoy reading about interior design and technology, or if you simply like anything involving kitchens, chances are you’ve heard about induction stoves. Unlike regular stoves, which use fire as a source of heat to heat up cookware, induction cooktops use magnets. 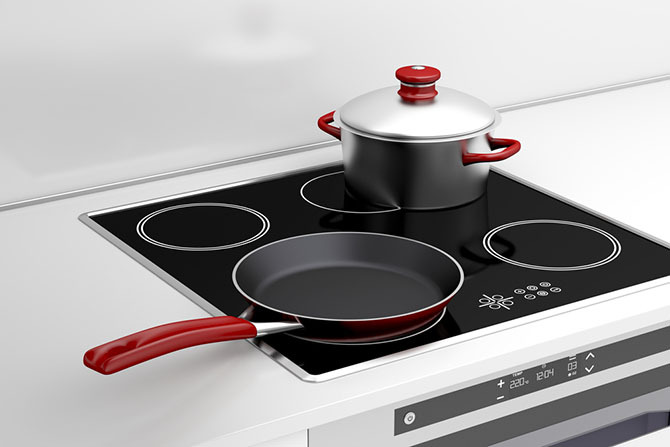 While it might sound confusing, it’s actually quite simple: Induction stoves create an electromagnetic field which, when in contact with induction safe cookware, heats up said cookware without the need of an external heat source. Safe and efficient cooktops that look amazing in any kitchen they’re in. As you can imagine, induction stoves require a special kind of cookware to work properly and if you’ve been using a regular stove all this time, chances are your current cookware won’t work. Don’t worry, though. 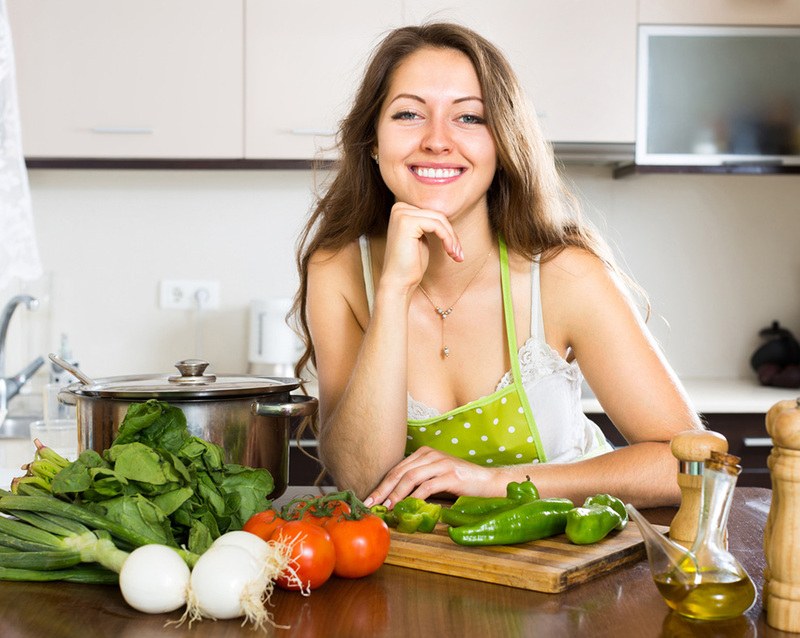 Reading the following guide will let you find out if you can use your current cookware or not. Induction stoves have circles on them that let you know where the cookware goes. These circles come in various sizes to accommodate all kinds of pots and pans. This is important because, to maximize your stove’s effectiveness the entirety of your cookware bottom needs to be in contact with the surface inside the circle. Make sure your pans are the exact size or smaller than those circles because larger pans won’t be able to work as efficiently, since plenty of their surface will be left outside the magnetic field. One of the things you need to keep in mind when it comes to induction cookware is its weight. After all, induction stoves have glass stove tops and while this glass is pretty strong, it still can crack if you’re not careful. Materials such as cast iron are downright dangerous when it comes to this kind of stove, so avoid pans that you can’t handle easily but try not to go for lightweight cookware, as you’ll need some weight to make sure the pans are in contact with the glass surface. In short, find a middle ground! Choose pans that you can handle comfortably and won’t crack the glass if you accidentally drop them, but make sure they have a nice weight to them so they rest on the glass top fully. When it comes to induction cookware, you want to make sure the bottoms are as flat as they get. Curved bottoms may look pretty, but they don’t rest fully on the glass surface, which means they won’t work as well. Flat bottoms not only will heat up much faster and evenly but will stay on your stove more easily, preventing accidental spills. With that in mind, you should also avoid cookware that’s warped or dented, as this will have the same effect on the stove. 4. Get the Right Materials! 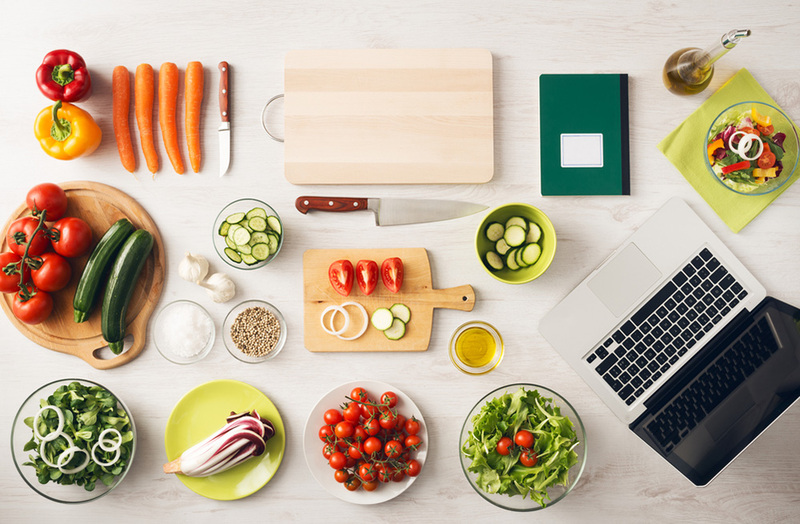 Since the goal is to find cookware that can generate a magnetic field when in contact with an induction stove, you want to buy cookware you can stick a magnet to. So go ahead, grab your nearest fridge magnet and place it on the bottom of your cookware. Then you can use that cookware. This is a good material for induction cooktops, though it’s not the most conductive out there. You can use them on their own just fine, but if you want to improve their efficiency you can always buy a copper core. Copper cores can be attached to the bottom of your cookware to make them induction friendly, though it doesn’t work in all materials. Titanium is an excellent material for induction cooktop, as it’s lightweight and very responsive, reacting to the electromagnetic field almost immediately. This fantastic heat conductivity will react quickly to temperature changes, which means titanium should be the way to go if you plan on cooking delicate dishes that need a very specific temperature to cook. The one downside? The price, as titanium cookware can be very expensive. Copper is the best material you can get for heat conductivity purposes, but you have to keep in mind that the copper cookware reacts with some foods, changing their color and even their flavor. Because of this, you should find induction cookware that has copper at the bottom and other materials on top, such as ceramic or stainless steel. This will react beautifully with your induction stove and even better with your food. Induction stoves are the easiest, fastest and safest cooktops out there, with the added benefit that they look as futuristic as kitchen appliances can get. Induction stoves are super easy to clean, since the stove doesn’t actually get warm, which means that any spilled food will stay spilled and won’t stick to the glass surface. This will drastically reduce the amount of cleaning you’ll have to do. Just grab a damp sponge or cloth, wipe and you’re done. It’s as easy as that. Since induction stoves generate the heat directly inside the cookware, this minimizes your cooking time considerably. A regular stove will take around 10 minutes to bring water to a boil. An induction cooktop? Just 4. Remember what we said about induction stoves not getting hot? That means you can touch pretty much the entire surface (except directly under your pots and pans) and not get a single burn, which is a godsend for houses with little kids or for those who are easily distracted. Even more impressive is the fact that some glass top stove models can tell when pots are getting dangerously hot and reduce the temperature to prevent any accidents. Now that you know the benefits of the cookware for induction stoves and how to buy them, it’s time to choose the right one for you. The search can be quite taxing so we’ve decided to make things easier for you by reviewing several products in order to find the top 5 best pots and pans for induction stove. This way, you can make sure to choose from the best of the best. A beautiful, versatile and affordable option, this cookware set is a fantastic choice for those of you looking to replace your current cookware set for an induction friendly one that doesn’t break the bank. Dishwasher safe, oven compatible and suitable for use both in induction and regular stoves, this set is as reliable as they come. It’s also quite versatile, as it includes skillets, sauté pans, stockpots and even a steamer insert, which can double as a strainer. All of them non-stick as only stainless steel can be. The pieces of this set are also very sturdy, which means scratches and bumps will hardly leave a mark, though you’ll still need to use silicon or wood utensils to minimize the risk of scratches. As with any other stainless steel cookware set, seasoning will be necessary before using it if you want to exploit its non-stick properties but rest assured that this is an easy and very straightforward process. Another great characteristic of this set is its size, as it sits comfortably in the medium category, with sizeable pans that are still lightweight and easy to move around. When it comes to affordable, easy to use and reliable non-stick hard anodized cookware, it’s hard to beat T-Fal. This reliable set boasts a reinforced build that makes it perfect for induction stoves, as it keeps the bottom flat and smooth, ensuring a constant contact between base and stovetop. The set does feel too lightweight at first, which can be a problem since it’s very easy to accidentally knock the pans out of place or even off your stove. This problem usually solves itself during cooking, though, as the food gives the cookware a bit more weight. As you can imagine, these pans are very non-stick, even if you don’t go through the trouble of seasoning them. This is thanks to the Teflon used to coat the pans, so if you’re trying to avoid that kind of chemical look elsewhere. As it’s common for this kind of material, the Teflon scratches rather easily if you use harsh utensils so it’s safer to stick to wood or silicon. That said, this set does come with silicon utensils, so you won’t need to buy any right away. While this induction cookware set is oven safe up to 400 degrees, it’s not dishwasher safe so you’re going to have to wash it by hand, preferably with mild soap to avoid any issues. Taken good care of, this set is very reliable and versatile, which makes it an excellent option for those looking for induction cookware with a small budget. Teflon coated, but that’s expected. When it comes to induction cookware sets, it’s hard to beat Circulon. After all, this particular brand is made with induction stoves in mind. This means each piece has been crafted with a sturdy aluminum and stainless steel mixture, which makes each piece sturdy, heat conductive, non-stick and perfect for any situation. The built also has flat bottoms and straight edges, which are perfect characteristics for induction cooktops, as it maximizes the amount of contact with the surface, meaning your food will get hot quickly and the pans will react to temperature changes right away. This set is dishwasher and oven safe up to 500 degrees, though it doesn’t perform nearly as well in the freezer, so we recommend you avoid that. While the handles are advertised as the kind of handles that stay cool no matter what, we found they actually get really hot so you should be careful when handling them. While we’re in the subject of the handles, these are weirdly long and skinny, which makes them rather cumbersome and, if your kitchen is small, easy to bump into if you’re not careful. When it comes to price, this set sits comfortably in the middle, which makes it a perfect option for those looking for high quality cookware at an affordable price. We just wish the handles were better and that the sides of the pans matched the bottom in thickness, because in our experience the sides get hot a lot faster than the bottom. Let’s dive right into this review with one of the most affordable and complete induction cookware sets on this list. This beautiful ceramic cookware set uses both aluminum and ceramic to deliver excellent results, as the aluminum base is highly conductive and heats up quickly, while the ceramic coating is non-stick, which means you’ll be able to cook using a lot less oil without any chemical exposure. Furthermore, cleaning is a piece of cake, though it should always be done by hand to avoid scratching. Indeed, scratching is a danger when it comes to ceramic coatings so make sure to always use plastic, wood or silicone utensils when cooking with this set. Luckily, the set itself comes with a bunch of utensils you can use when cooking, making this one of the best bundles you’ll find. While this set boasts superior anti-scratch technology, it’s not dishwasher safe, as the harsh chemicals might wash off the beautiful colors. This set comes equipped with solid handles that are easy to grip and stay cool to the touch even during use. It seems like this set is oven safe, but we didn’t try it. This beautiful stainless steel set looks as good as it works, which is to say fantastically, all while being sturdy and, with the proper care, very long lasting. Dishwasher safe, non-stick and highly conductive, this set is perfect for those looking for a professional and highly reliable cookware set, as each piece has been made with a flawless stainless steel and aluminum alloy. This allow not only ensures that your cookware heats up quickly and evenly but also makes it completely non-reactive, which translates to the ability to cook absolutely anything without any sort of adverse reaction. This set comes with only 10 pieces and no utensils, which is a shame because stainless steel needs silicon or wooden utensils to avoid any scratching, but the quality of the pieces is such we were willing to look pass that. Unlike other stainless steel pans, this set is dishwasher safe and very nonstick, though you’ll have to season it before using in order to reap those benefits. Fail to do that and you’re going to have to scrub by hand. As you can imagine, this set is rather expensive, but rest assured that it’s more than worth it. Particularly once you find out it’s made in the USA and comes with a lifetime warranty. Now you’re ready to buy a new induction stove cookware set!